Val Gardena, a region of age-old traditions, habits and folklore, is the place which gave birth to art of wood carving in the 17th century. 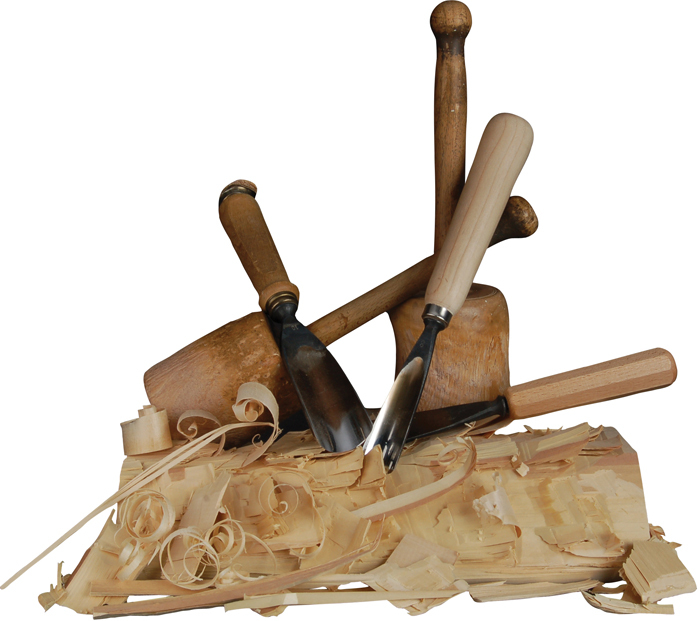 Nowadays, in the valley there are numerous wood workshops where woodcarvers make, with great skill and patience, their artworks entirely and exclusively by hand by using traditional tools: mallets and woodworking chisels. 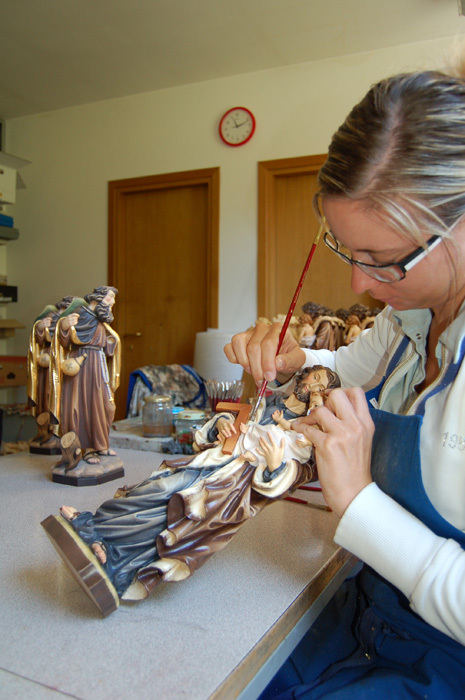 In the Demi Art wood workshop, located at the company’s registered office in Santa Cristina, in the heart of Val Gardena, we make fine handcrafted wooden artworks of high quality and value, both with sacred and figurative and profane subjects. In the Demi Art workshop there are different professional figures: designers, sculptors, carvers, painters, gilders and decorators. 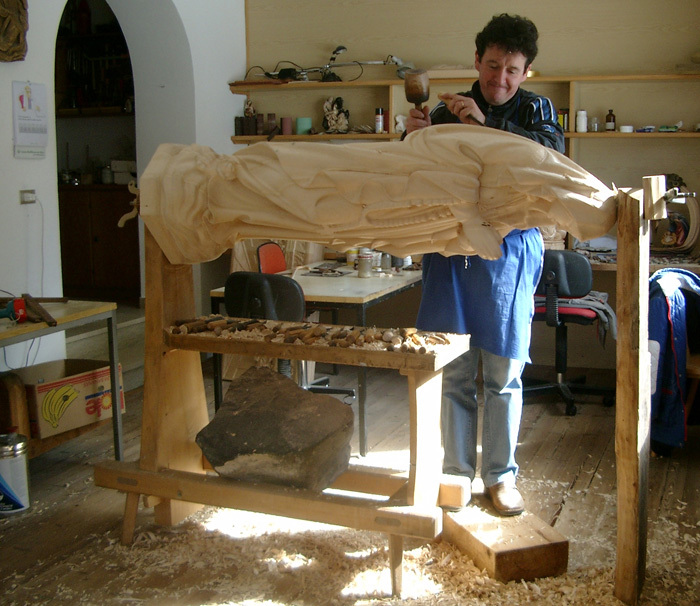 The Demi Art wood workshop, where master Karl Demetz started his artistic activity more than 40 years ago, is known all over the world and the sculptures made by its masters remind of Val Gardena, its landscape and its history. All the precious wooden artworks realized in the Demi Art workshop are included in the Catalogue. 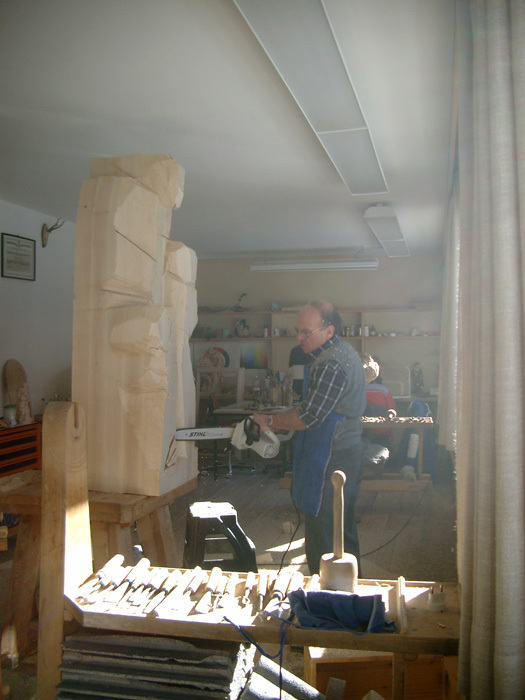 In the Demi Art wood workshop it is possible to realize also sculptures on commission, personalized on the basis of the customers’ requirements. The best way to remember the Val Gardena and its age-old tradition in the field of artistic wood carving is to purchase an original Demi Art wood carving, still realized with the same quality and refinement with which master Karl Demetz took a chance in this hard and fascinating art. Demi Art sacred art is known all over the world and several churches may boast a wooden sculpture by master Karl Demetz. 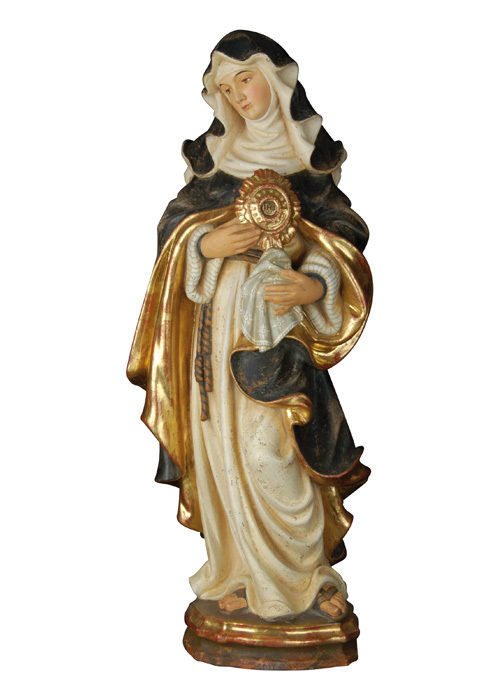 Saints, nativities or crucifixes with a suitable size are essential to decorate any church, convent or monastery. Conscious of the importance of artistic items for the decoration of churches, Demi Art offers a wide range of religious wooden sculptures. 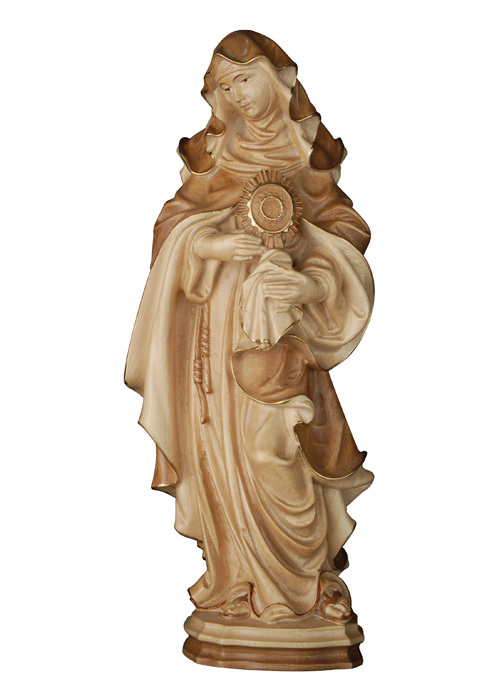 All the sculptures of Saints, patrons, cribs, angels, madonnas and crucifixes are able to satisfy the decorative needs of any religious place: wooden sculptures by master Karl Demetz are wonderful works of art and can be used as religious symbols and decorations. 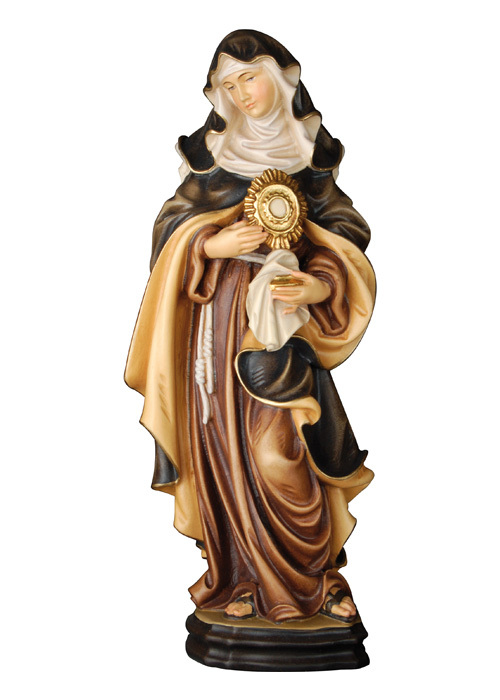 Wooden religious sculptures are perfect ornaments and objects of worship for churches, parishes, sanctuaries, monasteries and religious institutes, but also for feasts and processions. Demi Art also provides crucifixes, stoups and other holy vessels, all hand carved in obedience of the traditional carving techniques of Val Gardena. Demi Art artists may realize any kind of personalized wood artwork. The selection for the best wood to make fine sculptures is already made in the forest. 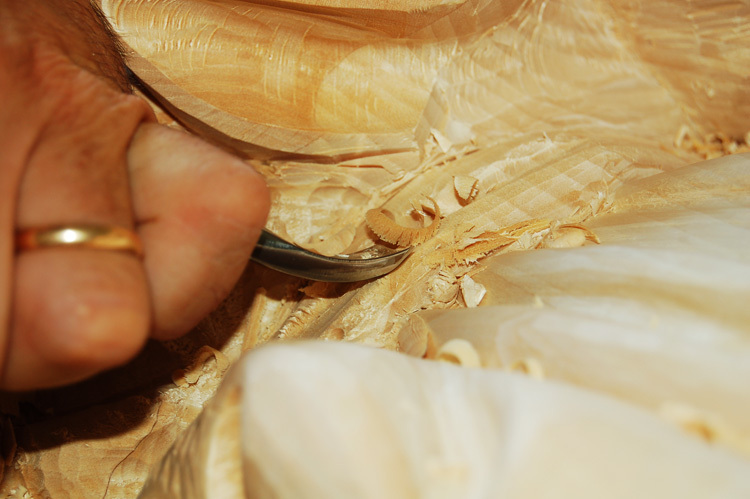 Only perfect trees are suitable for artistic wood carving. For the realization of its sculptures, Demi Art uses lime wood, stone pine, maple-wood and other types of wood typical of Val Gardena. After the trees are slabbed, the boards are dried and then cut to size for the respective figures. Designing and making the first piece is the job of master Karl Demetz. The finishing touch is done professionally and down to the last detail by skilled sculptors. The perfectly carved sculptures are painted in part in the in-house painting wood workshopby using oils. The biggest ones are plated with pure gold, while the other wooden figures are treated with a mordant in three shades. The painting of wood carvings is entrusted to well-known masters of the area. After an accurate examination of each piece, our trademark is attached to the faultless sculptures and sent to our clients around the world. 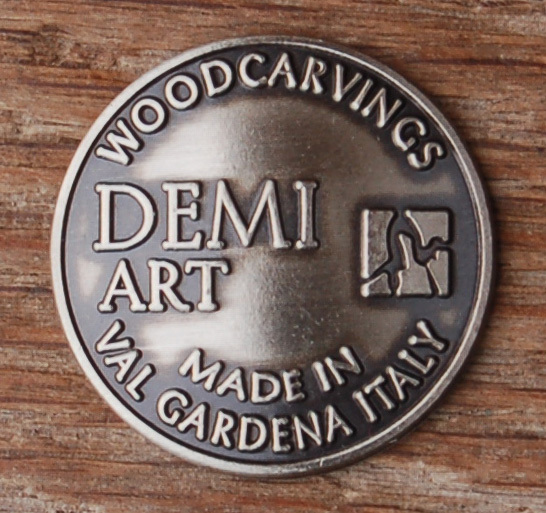 The logo Demi Art, which has the important function of guaranteeing the product originality, consists of a small metal disc normally attached to the sculpture base. Once marked, Demi Art sculptures become real wooden artworks. 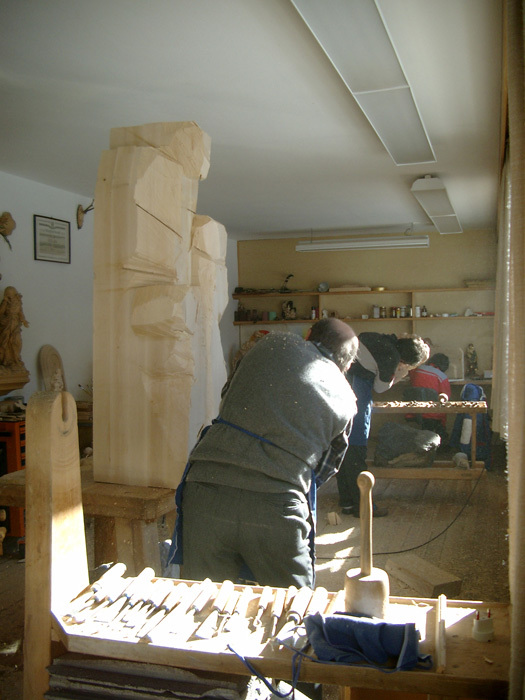 In the last years, the Val Gardena tradition of wood hand carving, which predominantly characterizes the typical handicrafts of the area, has been joined by the mechanical reproduction of wooden statues for mass sale. The industrial production of wood sculptures requires the use of pantograph, a tool which allows to reproduce precise representations on different scales on the basis of a drawing or a template. The production of sculptures by pantograph is much more economical than wood works made by Val Gardena masters and the difference can be detected only by experts. In order to promote all the artistic wooden works entirely carved by hand and safeguard the mastery and creativity of Val Gardena sculptors, since 1969 the Chamber of Commerce of Bolzano has been putting the label “Entirely Hand Carved” on wood carvings having this characteristic. In order to highlight the exclusive hand carving of works, wooden sculptures are marked with a small duly registered metal disc which reminds of the Entirely Hand Carved symbol and accompanied by a specially provided certificate of warranty. The metal logo affixed to the sculpture represents a safeguard mark with the function of guaranteeing the exclusive hand carving of wooden artworks. Once a rough-hewn carving is made by the sculptor, the metal disc with the logo Entirely Hand Carved is applied on the sculpture in a particular point of the base by an expert appointed by the Chamber of Commerce of Bolzano. As soon as the artwork is finished, the expert performs another thorough assessment and then issues the final authenticity certificate which guarantees the exclusive hand carving of the artwork. The authenticity certificate issued by the Chamber of Commerce of Bolzano, committed to the safeguard of South Tyrol typical craft artworks, is a real official document: indeed, each wood artwork bearing the trademark Entirely Hand Carved corresponds to a precise serial number which allows to identify the sculpture in a unique and unequivocal manner. 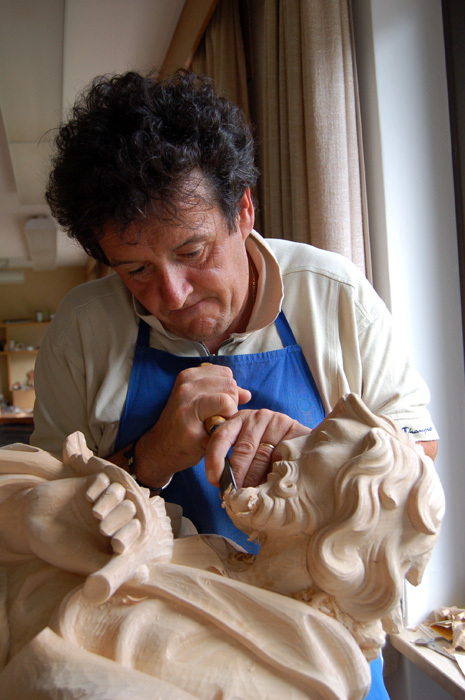 This way the creative craftsmanship of Val Gardena sculptors, who make top quality and high artistic value wood artworks, is safeguarded. 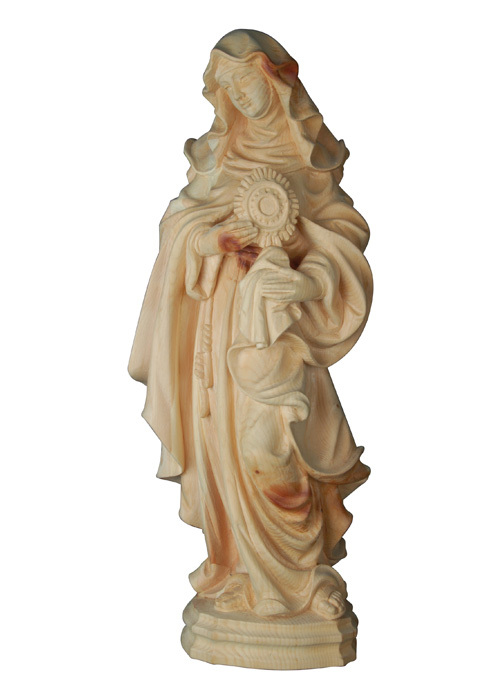 Statues carved in maple wood for the smaller sizes and in linden wood for the greater measures, beginning from 50 cm. The surface is carefully worked and finished in all the details. The surface is generally not dealt. This finishing is indicated for indoor exhibit. For outside it is possible to demand to apply cooked linen oil or wax, that shields the wood from outside influences. 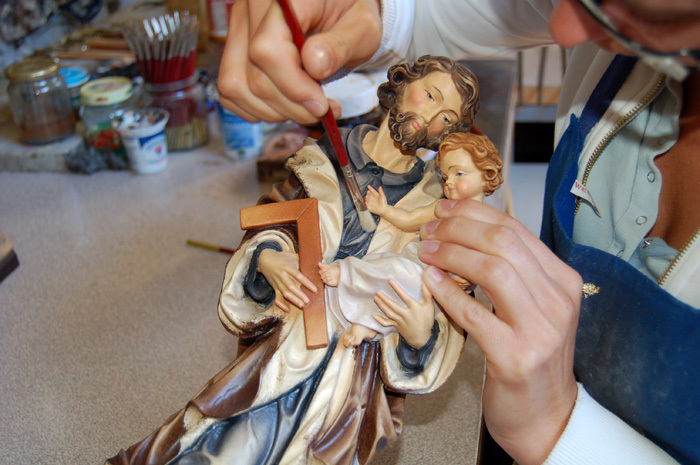 On the statue in natural wood there is applied a stain for wood, which is an ink made up with water and wax. You can choose out of different colors. The surface is slightly abraded in order to get some shadings on the statue. After that the statue is waxed then slightly polished. Normally this finish comes supplied with a medium color like on the picture, but upon request we can also apply darker or lighter colors. To the statue in natural wood there is applied three various stain tonalities. Wood stain is an ink made up of water and wax. The surface is slightly abraded in order to get some shadings on the statue. After that the statue is waxed then slightly polished. At the end, according to the subject, there will be a decoration with gold and/or silver on some details and the edges of the garments. The precisely carved statue is decorated with oil paint, gold and silver leaf. The colors are fixed with a varnish in order to maintain the brilliance of the same ones over the time. On the roundwood statue the master painter applies a very thin chalk bottom to proceed then to the gilding with real gold leafs and successively to the painting with colors produced from valuable pigments. On the roundwood statue we apply various thin chalk layers in order to get a craquelé effect, that means small cracks on the surface. The next step is the gilding with real gold leaf and successively the painting with colors produced from valuable pigments. This high handicraft virtuosity of painting technique is the result of centennial painting tradition. This completion is a finishing made for the painting technique that applies a chalk base. This statue in cirmolo has generally various nodes, characteristic of this type of wood.